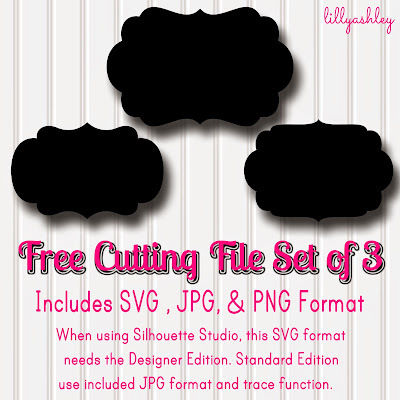 Today's freebie is a set of three scallop shape cutting file SVGs! This set also comes with the PNG format as well as JPG format. Note that when pairing these SVGs with Silhouette, you need to have the Designer Edition of Studio to open them. Just have the Standard Edition? I'm also including high resolution black and white JPG file format that you can use with the trace function. The images are large to give you a nice trace. Just click on the zip file in the link. Want these shapes as frames? We've used these shapes to create a set of nine scallop frame cutting files (also includes PNG format and JPG format). Just added to the shop! This set is brand new. Click the above image to check it out in the shop! 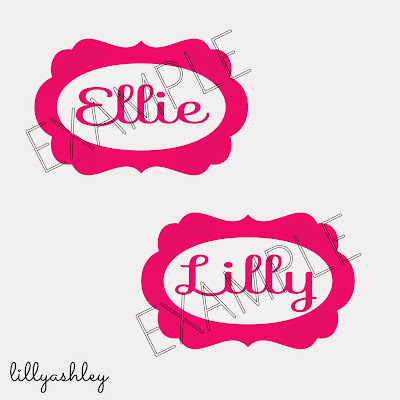 I plan on using these with glitter HTV to create matching shirts/onesies for my five year old and 6 month old girls! Here's what I have so far...what do you think? 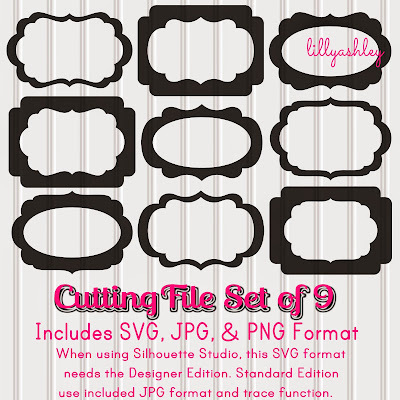 Click HERE to head to the shop to check out this set of NINE cutting files! PNG layering format also included for the Adobe Elements users, and JPG format to trace with Standard Edition of Studio. Enjoy the freebies, and be sure to check back soon for more! See ya back here soon! If you love free printable and digital paper downloads, follow us along on Pinterest & Facebook to stay updated!